Subscribe to Cyndi's YouTube Channel and catch the latest videos posted - fun and entertaining videos to keep you amused. 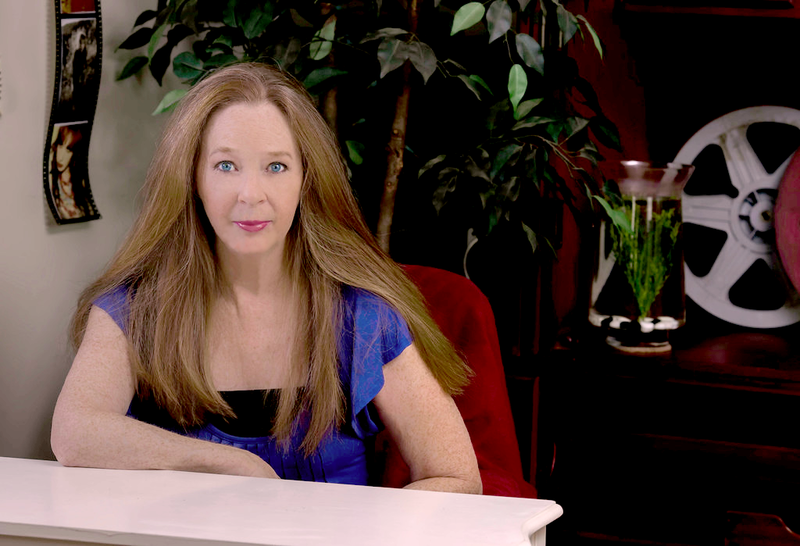 Cyndi teamed with Judy Norton in producing, directing and writing the Original Sci-Fi Comedy Series, "DISORGANIZED ZONE", now airing on Vulcan TV. When my career evolved as a professional organizer, it evolved into the art of interior decorating and matching decor and function with a person’s lifestyle. That’s when I decided to call myself a Lifestylist. It’s actually not a new word and came along way before I adopted it as a career title. Other Lifestylists focus on specific subject matter (fashion, home design, cooking, gardening, beauty and health) while others are more general lifestylists. The thing that binds us all is that we style a person’s life. After a year-long production period of filming all the scenes for the documentary, BANDITO, we finally wrapped our last scene last week. Starring Richard Stewart playing the role of his real-life masked bandit persona known in the community “Bandito.” This is a humorous documentary about Richard turning into Bandito, and renown for stealing trash and weeds from abandoned lots and leaving artful rock sculptures in his wake. We just went from a no-budget Web/TV series project to a low-low-budget Web/TV series with our recent funding to finish Season One of Disorganized Zone! Produced, directed and written by me and Judy Norton (known for The Waltons), we got 4 vignettes filmed for 2 episodes and will be filming 4 more full episodes in May to make a total of 6 episodes for TV. Distribution is targeted for ConvergeTV and Internet channels. I love social media. It keeps me in touch with people and with things going on. I also see things I’ve never seen, watched great videos I never would have found, and find out about new and interesting gadgets. With Pinterest, I was addicted to hours of prolonged browsing and “pinning” interesting pictures on my boards. At first, I was building up great Boards, like my “Stylish Home Organization board, my “Decor Picks” board, and my “Creative Interior Designs” board. But it didn’t stop there. Aside from my own website re-design, I have some new websites that I designed with custom Wordpress themes, header sliders, and more. Each is unique, tailored for the client, and I’m proud to add them to my Seidler Designs portfolio. You’ve probably heard of the movie “Romancing The Stone”, no doubt. Well, this is about Romancing The Facebook. When I open Facebook each morning (as the day allows, of course), I peruse through so many different types of posts, from cute viral animal videos and photos to political statements, to news events, to what people are eating and where, to who is hanging out with who and what they are doing … and so forth and so on. It’s my daily dose of everything in the world of social interaction via the Internet. It’s my world inside Facebook. I’m feeling generous today and giving away a free home or office interior decorating consultation! I will help provide some inspiration and ideas to transform one of your rooms into something fabulous and just for you! Sometimes, it just takes a few touches to change the look of a room and sometimes it takes a complete overhaul. This offer is limited to San Fernando valley area residents / businesses only, and expires Jan. 31.